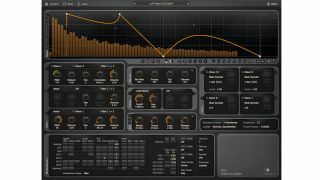 Cableguys is the company behind the excellent Curve 2 synth along with popular freeware plugin PanCake. We caught up with founder Jakob Rang to find out more. Tell us the story of Cableguys? "I released my spare-time synth project in 2005: Curve. This early shareware version already featured what is still one of its most unique points: the option of drawing custom waveforms for its aliasing-free oscillators. "Curve 0.5 was covered in top music technology magazines, got tons of downloads and great user feedback. This was greatly motivating, and soon my good friend and former fellow student Steffen joined me to go professional with Cableguys. "In 2007, we released VolumeShaper - what a disillusioning time that was, with only seven copies sold in the first six months! We continued with steady updates and new products, and now our plugins are used in thousands of studios worldwide. "This year, Michael and Jerome joined for support, sound design and conceptual work. Besides that, we found a great graphic artist for our interfaces, and we're working with known preset designers like Myagi, Michael Kastrup, Pluginguru, Xenos Soundworks and Soundsdivine." Your software is based on waveforms that users can define themselves. What design challenges does this present for you? "I had the idea of waveform drawing in 2003. A first prototype showed that it takes only minutes to develop a feeling for what different waveforms sound like, even for inexperienced users such as my friends, who tested it. Their feedback helped me a lot in fine-tuning the waveform drawing, and that's what we still do for any new features: invite users and watch them using a new feature or product for the first time. Then we fine-tune things until our plugins are as intuitive and easy to use as possible." How did you ensure that Curve sounds good enough to compete with more established synth developers? "The main challenge was to make sure the oscillators sound as great for deep basses as high frequencies; that the FM options work just right for anything from tight, soft bells and electric pianos to shrill, aggressive snarls; and that pitch modulation does not introduce unwanted aliasing. "Similarly, LFOs have to work just right at any speed, up to the audible range.Whenever we expanded the oscillators, we could build on code and knowledge that was very mature." What's next? Will there be more freeware like PanCake? "We plan to update PanCake to v2 soon, while still keeping it free. We don't know about other free plugins yet, but we're very much looking forward to FilterShaper 3, which we're working on right now. It will become much more flexible and crazy, with a wider range of effects than filters alone. "We're also working on a plugin based on our best-seller, VolumeShaper. Besides that, Curve 2's shared online preset library is growing steadily, and we have some small feature updates in the pipeline. "If you want to help us shape the future of Curve, go to www.cableguys.de/curve.html for a feature wishlist that will remain public at all times.Everyone can add feature wishes and vote for what they want us to do infuture versions of Curve. Stay tuned!"